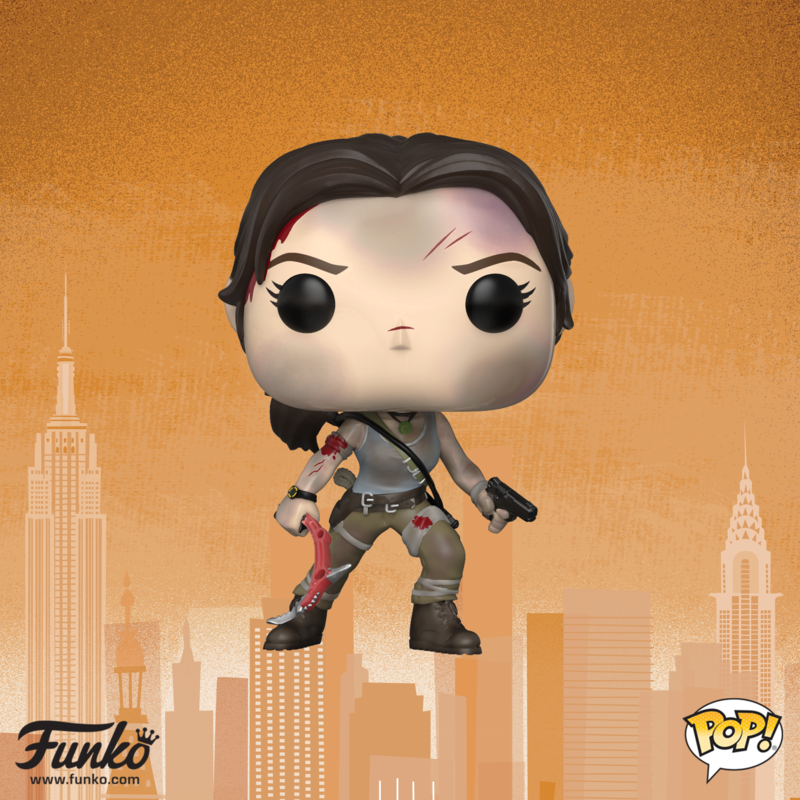 The Toy Fair is in town – New York City to be precise – and pop culture giant Funko took the opportunity to announce that Reboot Lara Croft has gotten her very own Funko Pop! vinyl figure. Equipped with her bow, red climbing axe, radio, and pistol and sporting her trademark green pendant, this new Lara Croft Pop! figure pays homage to the 2013 reboot game and the upcoming 2018 film starring Alicia Vikander. Unlike her Classic Lara counterpart, this Lara is looking a little worse for wear; the scratches, bruises, and cuts on her vinyl visage and the makeshift bandages on her aching limbs are testament to her adventures… and misadventures. What’s more, Crystal Dynamics community managers Meagan and Morrigan arranged an open-air photo shoot for Ms Croft. You can find a full gallery of Funko Lara’s exploits over on the official Tomb Raider Flickr account. Order your Reboot Lara Croft Funko Pop! figure today over on Amazon or Amazon UK!